The library was built and is now owned and maintained by The Friends of the north Fork Community Library. We receive no funding from taxes. Wa are a non-profit community organization, with a Board of Directors made up of local residents and we hold open monthly board meetings at the library. As you know, owning a building is an ongoing financial responsibility and requires planning for the future. 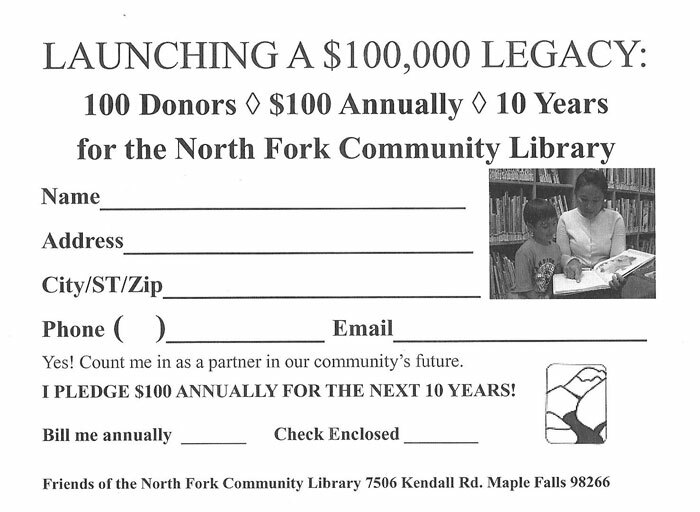 To that end, The Friends of the Library have kicked off the North Community Library Legacy Campaign, to raise $100,000. over 10 years.